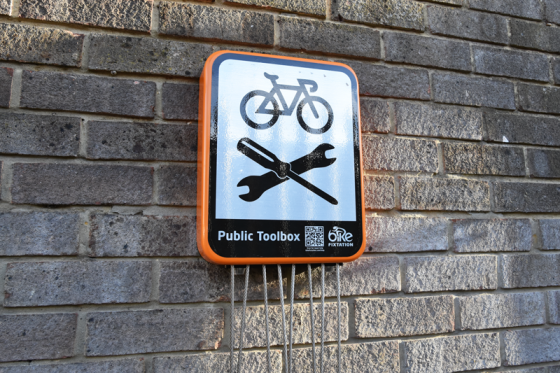 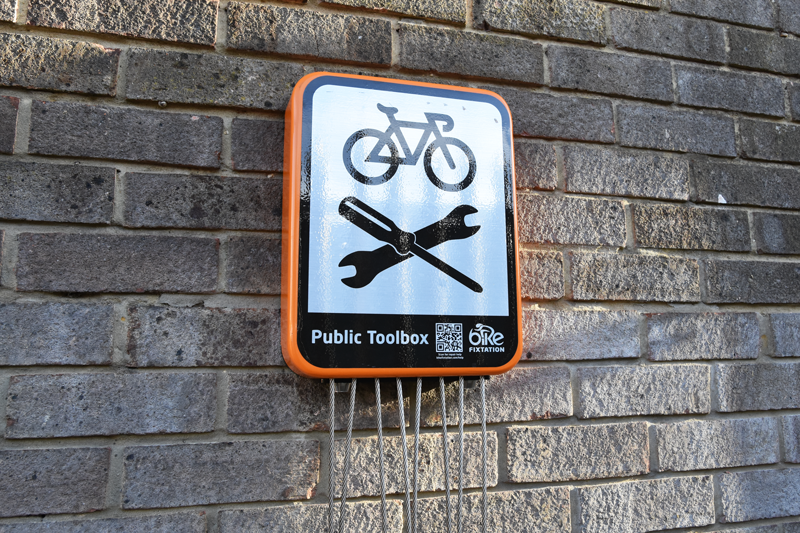 The Public Toolbox is a wall mounted repair facility that can be installed in most public places, providing cyclists with free tools to make adjustments and repairs on the spot. 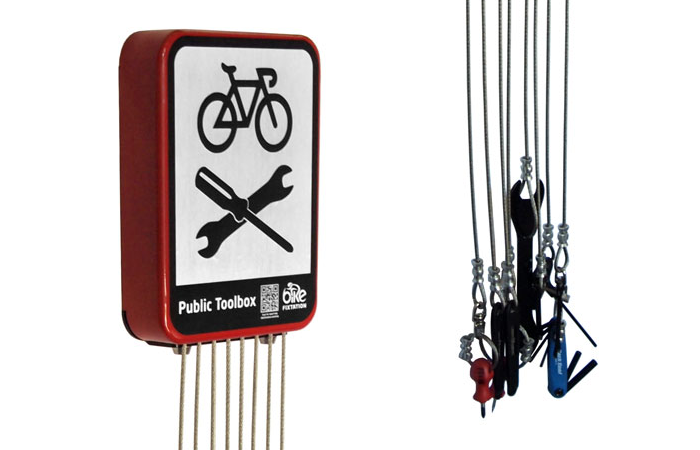 This robust product is designed for indoor and outdoor use and is made from thick wall steel. 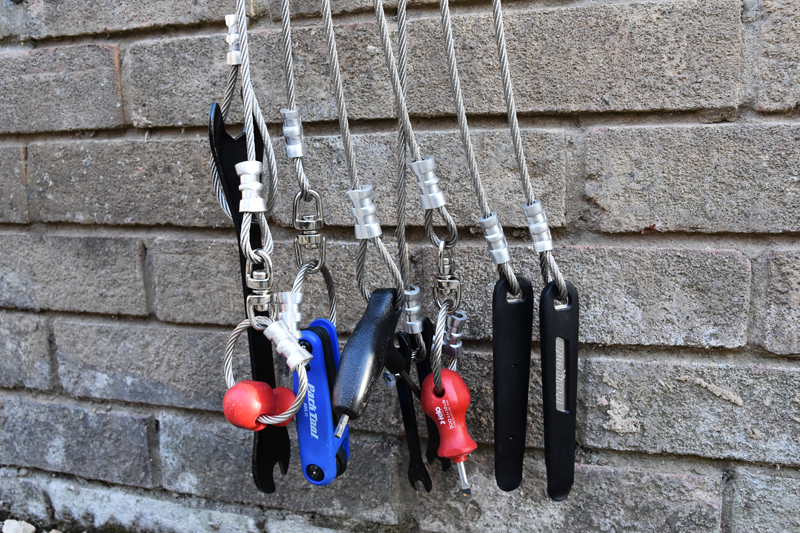 Its wall mounted kit has a small footprint, making it perfect for small spaces. 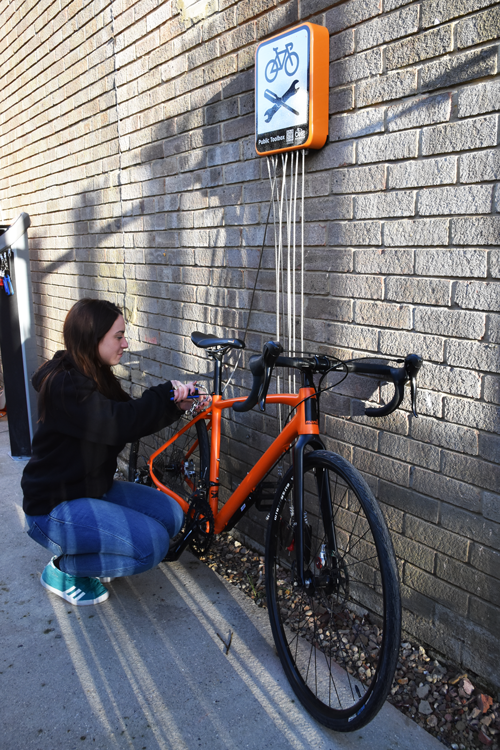 It also features eight tools which are securely connected by 54-inch stainless steel aircraft cables reducing theft and vandalism. The Public Toolbox comes with an optional strike plate to protect the wall from tool strike damage.